Zero pressure accumulation conveyors use a series of photo eyes and EZLogic controllers to hold products in place along the line until the zone in front of them is clear. E24EZ models use modular 24-volt motors to move the rollers in each zone. These models use three 24-volt self-contained motors to drive groups of rollers pushing product down the conveyor line. With fewer moving parts than traditional motors, the E24 requires less maintenance and is safer for technicians. e24 brushless, gearless, low RPM, high torque motor drives conveyor rollers reliably and efficiently. The external motor provides exceptional flexibility, superb heat dissipation, and a robustness that cannot be achieved with motors embedded in conveyor rollers. These quick-connect modules provide a substantial reduction in wiring and installation. E24 is ideal for distribution operations with frequent layout changes or for manufacturers that need to quickly change process lines. The modular design marries the lowest total cost of ownership with the highest levels of performance and safety. Solutions can either be configured with internal plug and play controls, or integrated with external controls. E24 is also available with award-winning EZ-Logic technology, featuring dynamic zone accumulation. 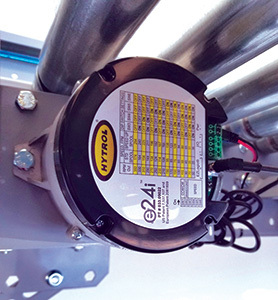 E24 resolves issues such as heat dissipation, limited motor life span, lack of sufficient torque, and the inability to use 1-3/8" rollers, which has significantly limited using motor-driven rollers in what are otherwise excellent applications. These limitations are now issues of the past. 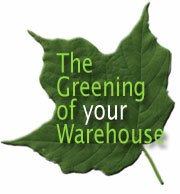 In the case of E24, we’re talking about energy savings as high as 60%. But then we get into raw materials savings: An E24 conveyor lasts about 6 times as long as a conventional roller at 125,000 hours life expectancy (24/7 runtime). That’s less steel and power used to manufacture it. E24EZ conveyors have a built-in controller that allows the conveyors to enter an energy-saving “sleep mode” for the ultimate in quiet, efficient, sustainable powered roller conveyor. Because the conveyor can use the same motor for all widths, it’s excellent for reducing needs for specialized, energy-consuming motors. With 3 moving parts, there are many fewer opportunities for parts failure, and the inefficiency that comes with it. For more information about E24 conveyor roller motors, contact us.